Confidence in your smile can affect how you feel about yourself personally and professionally. Many advances have been made in general as well as implant and cosmetic dentistry. Dr. Brandt Bergman regularly attends extensive continuing education under leading dental experts from around the world in order to provide outstanding care. Your healthy and beautiful smile is always our goal! 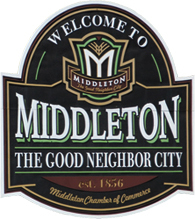 If you’re looking for a dentist in Middleton, WI, you’ll find skilled care and a friendly atmosphere at the office. With experience and training across a broad range of specialties, we are committed to providing affordable quality dental care. Proudly serving Middleton and all surrounding communities, we have been giving our patients something to smile about for over 27 years, (formerly known as James Lord, DDS), and we want to do the same for you. Find out why our patients keep coming back to us for all their dental needs. Give us a call for more information about how we can provide you and your family with healthy smiles that last a lifetime. 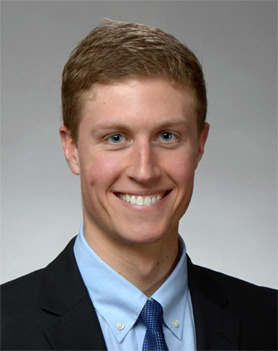 Dr. Brandt Bergman earned his bachelor’s degree in biochemistry at Iowa State University and his Doctorate of Dental Surgery degree from the University of Iowa College of Dentistry. During his time in school, he spent time working with dental specialists in the areas of Oral Surgery, Endodontics, Pediatrics, Oral Pathology and Periodontics. Dr. Bergman values lifelong learning to provide cutting-edge treatment for his patients. Professionally, Dr. Bergman is a member of the American Dental Association, Wisconsin Dental Association, and Academy of General Dentistry. Outside of work, Dr. Bergman enjoys spending time outdoors, running and cycling or exploring with his golden doodle Kevin. Originally from Iowa, he enjoys Madison’s abundance of markets, restaurants, festivals and visiting the zoo.